Okay, these are a great idea! Has anyone tried them? Little flat slippers you can put in your purse and put on after a long night. Or dancing at a wedding. I would love these! They even come in their own little pouch. Is it weird I haven't heard of these? How long have they been out? I'm kinda sure we should all own them! 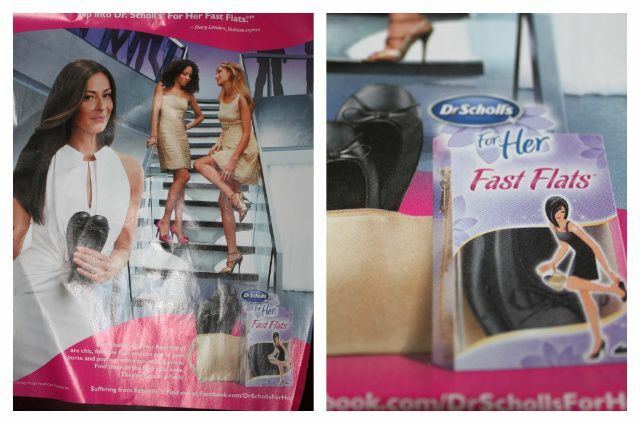 Well played Dr. Scholls, well played! I haven't seen these either! But I almost always keep a comfy pair of flats or flip-flops in my bag or car. I saw these in a magazine a few months ago but never saw them in stores. This is a Really Fabulous Idea! I want some to keep in my handbag for emergencies. I have seen these at Target. I love that are small enough to stash in your purse for any occasion. I have them and they are seriously a FEET saver! Must have!! This is such a great idea! I saw them at Wal-Mart. Love these! I have silver ones from Gap. I bring them everywhere! Yes! I bought some of these at the end of last summer and MAN are they a great idea. When you shlep all over a city on foot and by Metro (subway) the last things you want on your feet are 4 inch heels at 3 am after a night of dancing with the girls! They don't have much padding on the bottom, thus you can feel every little crack and pebble, but it's better than hobbling with sore feet. I'm starting to see them everywhere now...by different companies. Great idea!